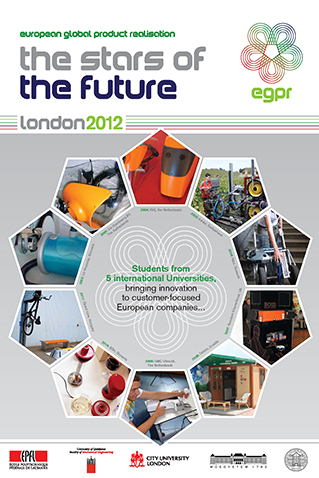 The EGPR 2013 students' project task is: Design and optimisation of the fuselage for an airplane to be flown by disabled people. Accessibility is a very important part of the inclusion of people with disabilities. An accessible barrier-free environment is the first step towards fulfilling the right of people with disabilities to participate in all areas of community life. The aim of this project is to carry out a conceptual design development of a new light aircraft that will be accessible to disabled pilots who are wheelchair users. The cockpit will be specifically designed to be operated by a pilot with lower limb disability, providing the means for disabled wheelchair users to apply for an NPPL or PPL license. The work of Condor Projects Ltd is mainly linked to civil engineering. The company is now seeking to set up a charity to help fund the development of aircraft and motor vehicles that are specifically designed to be accessible to disabled people and, in particular, wheelchair users. The company has the support of Cranfield University and University of Bristol whose aeronautical design departments have agreed to undertake some of the control and design work in relation to aerodynamics over the next 12 months. Condor Projects Ltd is proposing to work with EGPR on the design of the fuselage and the practical issues of making the aircraft accessible to wheelchair users. The vision is to ultimately build a full-scale prototype of the fuselage. To design and build an aircraft that is accessible to people with a wide range of disability including upper and lower limp disorder. To design modifications to existing aircraft to train disabled pilots for the the CAA/EASA Permit Certificate required to pilot the Cessna 172 and/or 152 aircraft. However, this is a separate project to be considered at a later date. The Design Rights, Intellectual Property and Patents will be held by the Charity. The construction of the aircraft and modifications will be carried out at Condor's bespoke construction facility at Birchwood, Selby. This facility is currently being developed with special emphasis being given to accessibility matters for disabled people. The charity will assist disabled people in the construction of their own aircraft and may hold a number of aircrafts to be leased out to flying schools around the UK/Europe to encourage the participation of disabled people in aircraft flying. It is proposed that the approach to be taken is to develop newly designed aircraft, built with the needs of disabled clients in mind, rather than adapting existing aircraft models with the consequence of compromising the final design solution. The design brief discussed with Cranfield, who will be concentrating on the aerodynamics etc. is given below. Flying by disabled pilots is quite restricted due to limited facilities. It is generally extremely difficult for people with lower limb disability, or who use a wheelchair, to get into or out of existing aircraft. This presents a barrier leaving many disabled people with the view that access to pilot training is very restricted. A solution therefore needs to be found that will enable disabled people to easily gain access into and out of an aircraft cockpit either with or without a wheelchair. This project will provide a much-needed opportunity for many more disabled people to participate in either sport flying or take up a career in flying with the possibility of gaining a flying certificate.